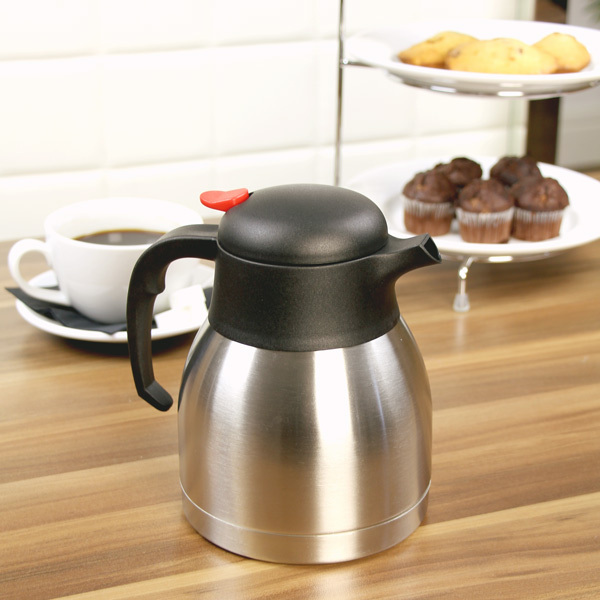 Serve coffee or tea with a simple press of a button using the Stainless Steel Vacuum Coffee Pot from bar@drinkstuff. With excellent insulation, this Stainless Steel Coffee Pot is the perfect choice for serving hot beverages at business and catering events. 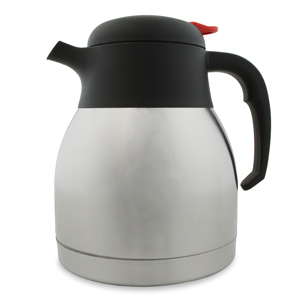 With an easy to pour spout this stainless steel coffee pot, is shatter proof for added convenience. "These were perfect for filling and delivering to the 24 Glamping tents we rented during a rally. this year they will be used again, good heat retention, easy fill and pour."